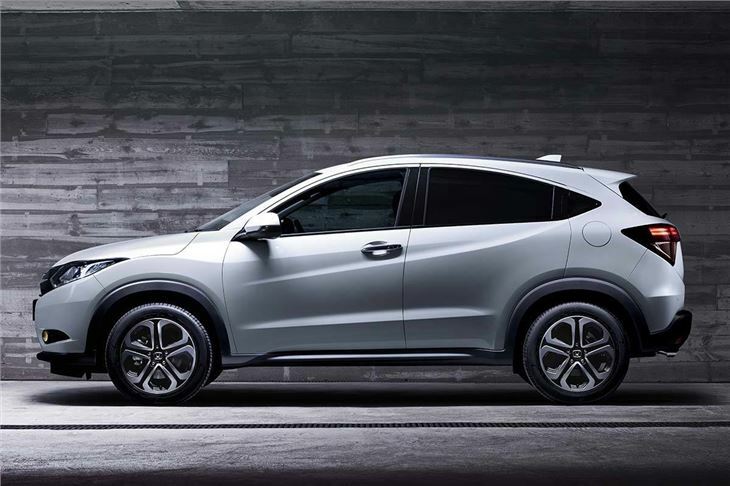 Honda has announced more details of its new HR-V small crossover at the Geneva Motor Show, where it got its European production debut. It’s due in the UK from Summer and should cost from around £16,000, though official pricing is to be confirmed. The HR-V faces competition from the Nissan Juke, but promises to be more practical thanks to its ‘Magic’ rear seats, which can be folded up or down depending what needs to be carried. With the seats in place there is 453 litres of cabin space, expandable to a maximum of 1026 by folding everything flat. 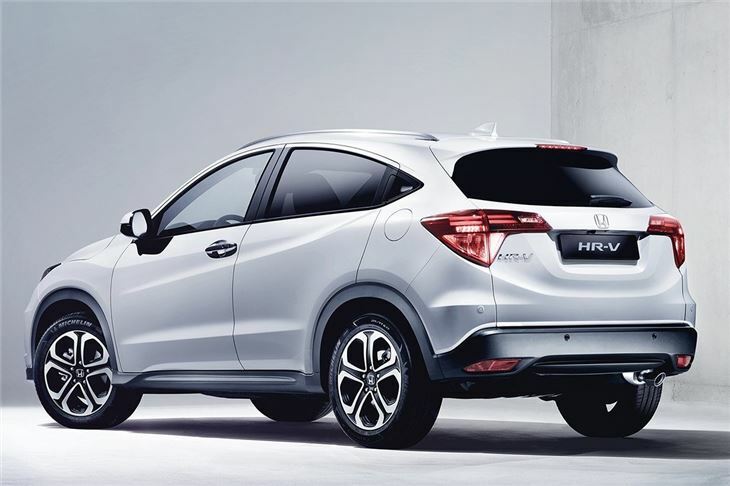 Honda calls the passenger leg and head room ‘class-leading’, so there should be space for a family. The engine range is small, with a choice of either a 1.5-litre, 130PS petrol engine or a 120PS 1.6-litre i-DTEC diesel. Economy figures are to be confirmed, but if its performance in other models is anything to go by then the diesel will be very frugal indeed. Transmission is a six-speed manual as standard, with a CVT automatic available as an option. The dashboard is covered with a soft-touch material and the instrument binnacle, with its large central speedometer, is inspired by sports coupe cars. A touchscreen system is present and can link up with smartphones to offer online services like traffic warnings. Most models will get recent safety technologies as standard including brake assist, collision warning, automatic high-beam and traffic sign recognition. Is the petrol version turbocharged? Is four wheel drive an option? Normally aspirated small petrol engines always feel flat when you're used to a turbo. I hope it has both the above or it will be out as far as I'm concerned - diesel is no longer practical due to my low mileage. As a long term driver of an Automatic CRV I was always put off the better sized HRV by the CVT Auto transmission of which I've always been suspicious. How well does the CVT compare on the road against more conventional geared Auto boxes? 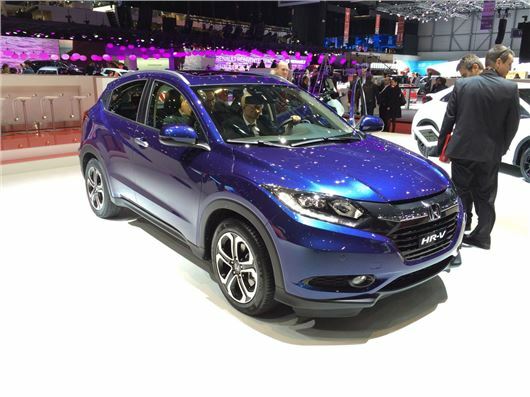 I went to the Geneva show specifically to see the HR-V and was somewhat disappointed. The Jazz however was better than I though it might be. A poor choice of engines and gearboxes. Every market but Europe and Japan gets the 1.8L engine with automatic. Having come very late to the Diesel party, Honda are now late with the new generation of petrol engines. 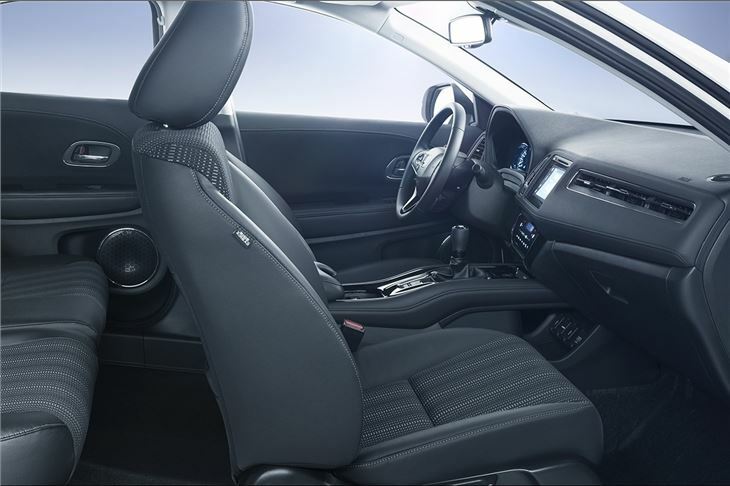 The quality of the interior is no match for the Japanese made Jazz, or the Japanese made HR-V (Vezel, which I've seen also).